Founded in 2017, by the successful brew masters of Tequesta Brewing Company and Twisted Trunk, Steam Horse brews high quality craft beers from a variety of styles, both traditional and experimental. 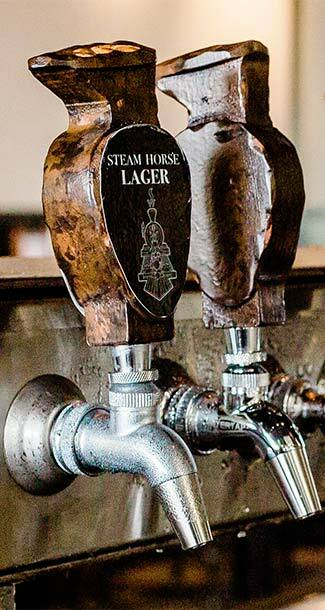 Set in the heart of West Palm Beach’s Warehouse District, our spacious 6,000 sqft tap room pays tribute to the vintage steam trains that once chugged through the district. Find your favorite and get on the horse.